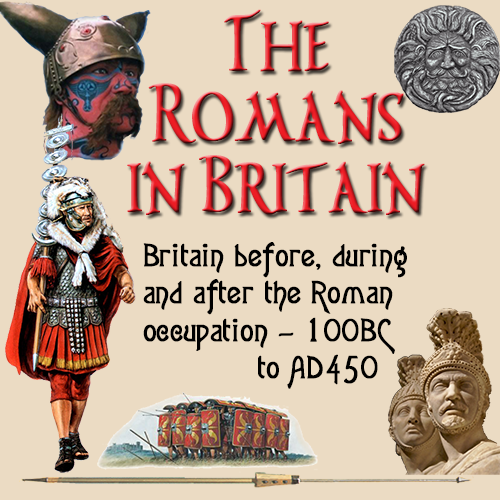 Britain was a nation consisting of over 30 tribes, each occupying their own territories with rigid boundaries and their own structure for each tribe. The Catuvellauni had taken over, or occupied the areas were the Trinovantes, Atrebates and Cantaii lived, so here there was more unity. We know this by the way in which the Catuvellauni issued coins in neighbouring areas using minting equipment belonging to the original tribes. So the south east of Britain was largely under control of this one tribe. Even so, there was no one capital were the country was administered from. Each tribe had it's own capital town and issued their own laws and collected their own taxes. The tribes were more civilised and advanced the further south they were due to the fact that those on the south and east had greater contact with their European counterparts than those who were more isolated in the north. The southern tribes did issue coinage to a certain extent, but even so they preferred to barter goods for goods rather than goods for coin. This annoyed their European trading partners, as they preferred to deal in cash as many of them were now under the single Roman currency, which made trading much easier. When the Romans came, they introduced a system of politics were the whole country was governed from one capital town. In Britain, this was Camulodunum (Colchester), but around the time of the Boudiccan Rebellion of 60/61AD, this became Londinium (London). The Romans now brought the whole country to the status of a single nation, where all tribes were equal, their powers to raise taxes and make their own laws having been taken over by the Romans. The tribal leaders were allowed to stay on as kings of their own tribe, but really this was just a figurehead role and they did not wield any real power. Politically Britain went from a divided nation to one united country with a properly co-ordinated structure, administration and control.